" While doing several different kinds of events throughout the year, it is sometimes hard to find gift items that can apply to all industries. 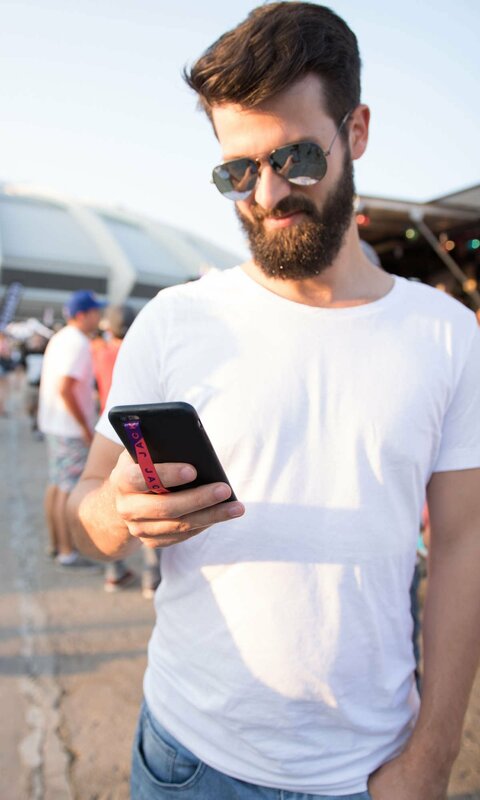 We often get requests for branded phone cases, but with phones being all different shapes and sizes, phone accessories are often a difficult item, but this has proven to be a great solution. The Phone Loops are sharp looking and very practical, and my overall experience and correspondence with the company has been fast, efficient, easy, and overall pleasant! " " One of my all-time favorite smartphone accessories. " I love my Loop! I walk a lot and it is so much easier to carry my phone around. I don't drop it anymore when I have too many things in my hands. Plus I like to color it adds to my phone. Been using it now for several weeks, the loop is a very useful add-on to my phone case as it provides some confidence that I won't accidentally drop the phone while using it. Definitely recommended! Discover a brand new way to do business with our universal Loops. The average mobile users handle their device at least 100 times per day, which makes the Loop a remarkable opportunity for unprecedented exposure. Your team members use their smartphones to keep your organization going. Your customers use their mobiles to communicate with you. Be ahead of the curve with this original and unique mobile accessory.